Sue Behan is a committee member and enthusiastic supporter of Birmingham Heritage Forum. Running a translation company since 1983, Sue qualified as a Heart of England Blue Badge Guide in 2000 and then set up Birmingham Tours. Birmingham Tours provides friendly professional qualified city guides for driving or walking tours of the city. In 2009 as Birmingham was a city without a bus, Sue bought the Big Brum Buz and has been running it for the last 5 years on a fixed date basis and for private hire all the year round. As a not for profit organisation Friends of the Big Brum Buz are essential and Sue is always looking for support. The Big Brum Open Top Buz Book which takes a unique look at Birmingham through the “eyes” of the bus was launched on Saturday 27th April – the same day as the double-decker hit the road for the start of its 2013 programme. The book takes an imaginative look at Birmingham with some unusual photographs highlighting all the attractions and points of interest along the route of the Big Brum Buz sightseeing tour. 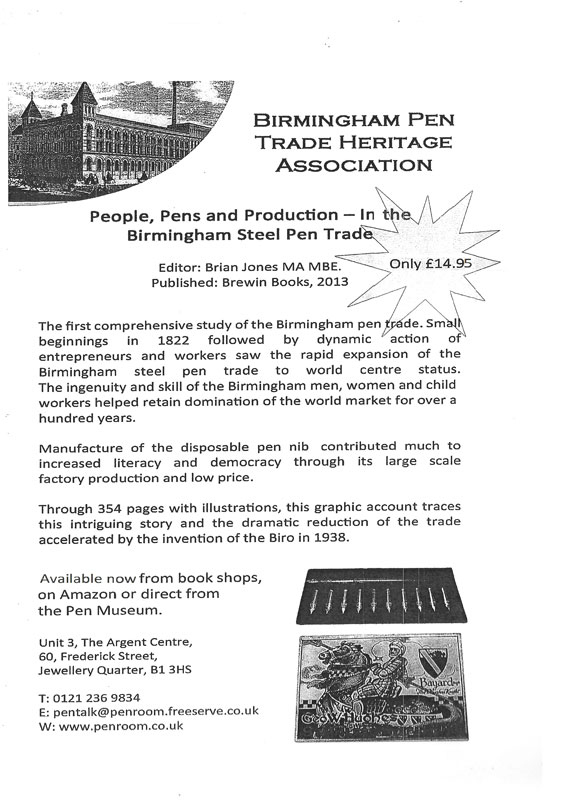 Sue hopes that the book will promote the people, culture and heritage of Birmingham to Brummies and visitors alike. The book has been a labour of love that hopefully will raise the profile of Birmingham and the need for a bus sightseeing tour. 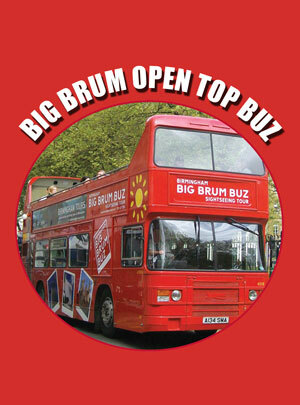 The Big Brum Buz book can be purchased through the Birmingham Tours website www.birmingham-tours.co.uk on the Birmingham Tours Souvenirs page for £6.99 plus p+p or on the bus at a discounted price of £5. 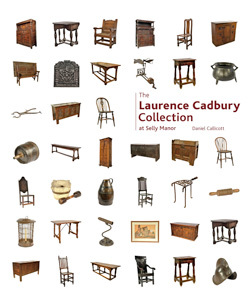 Written by Museum Manager Daniel Callicott, this publication focuses on the outstanding contribution of Laurence Cadbury in creating a wonderful collection of early furniture, domestic objects and archives for Selly Manor. Based on original research, this book catalogues the collection with detailed historical descriptions and photographs of the objects in the collection, which date from the 16th - 19th centuries. With over 170 full colour images this is a fascinating, illuminating and colourful publication that brings this important collection to print for the first time. The book includes a short biography of Laurence Cadbury highlighting his many achievements, including his role as Chairman of both Cadbury Brothers Ltd and Bournville Village Trust. Laurence made an important contribution to the Friends Ambulance Unit in WWI, ran a national newspaper and explored the world in his adventurous travels. 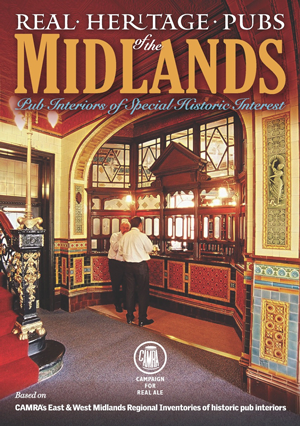 This guide will lead you to the pubs throughout the East and West Midlands that still have interiors or internal features of real historic significance. They range from rural ‘time-warp’ pubs, some with no bar counters, to ornate drinking ‘palaces’ and include some unsung interiors from the inter-war period. This is the first guide of its kind for the Midlands and it champions the need to celebrate, understand and protect the genuine pub heritage we have left. Paul Ainsworth is chairman of CAMRA’s Pubs Heritage Group that actively campaigns for the protection and preservation of Britain’s historic pubs.